Well, almost. In my previous article I described how to install custom ZOHO Inventory items templates on your ZOHO CRM account. I was under the impression my mission had reached an end and that there was nothing inside ZOHO that could surprise me. A couple of weeks after I published my article a product manager (Binoy) from ZOHO contacted me with an interesting message. “ I am a Product Manager of Zoho Inventory. If you verify whether our custom template feature embeds in your templates then we are spot on.” WOW. Now that sounded very interesting! Gallery uses the same template designs as seen on the previous article related to ZOHO CRM templates. There are small visual updates in the rendering, which is caused by better handling of the templates in the Inventory application. 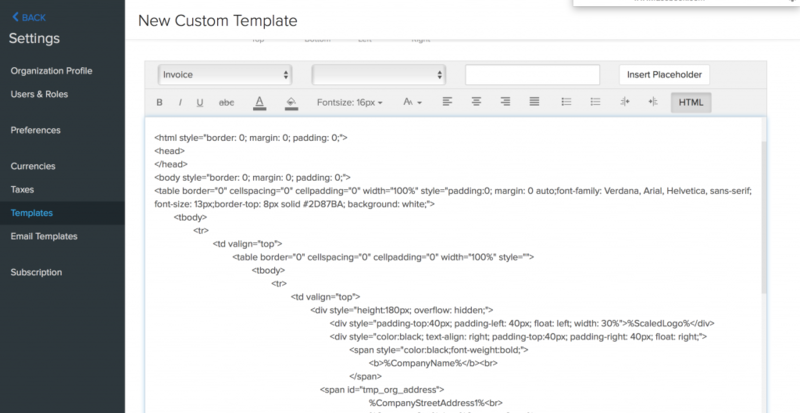 Templates are free to download, customise and use in ZOHO CRM. Images below are actually PDF exports of the quotes. 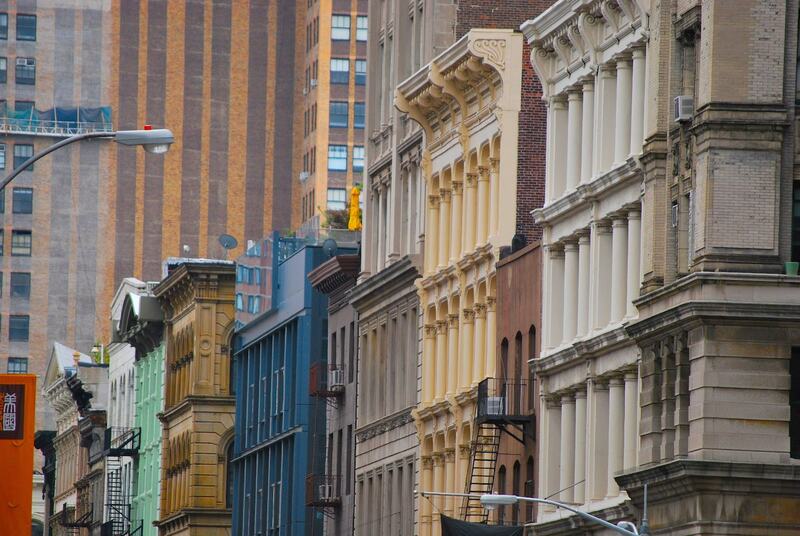 The look of the quotes might vary depending on data defined in Inventory application. Here’s where and how you can add / edit your Inventory templates with custom designed templates. Custom Inventory items template installation is pretty straightforward. Follow these simple steps to install your custom template on your ZOHO Inventory account. Log into your account at https://www.zoho.com/inventory/login/ Once you’re logged in, you will see the following screen show in figure 1. Please click the “More Settings” menu item in Figure 1 above. It’s located under cogwheel icon. You’ll arrive into Settings section, which is displayed below in Figure 2. Select Template menu item to navigate to Templates section. You’ll see list of various template categories – Invoice, Purchase order, Sales Order and Payment Receipts. 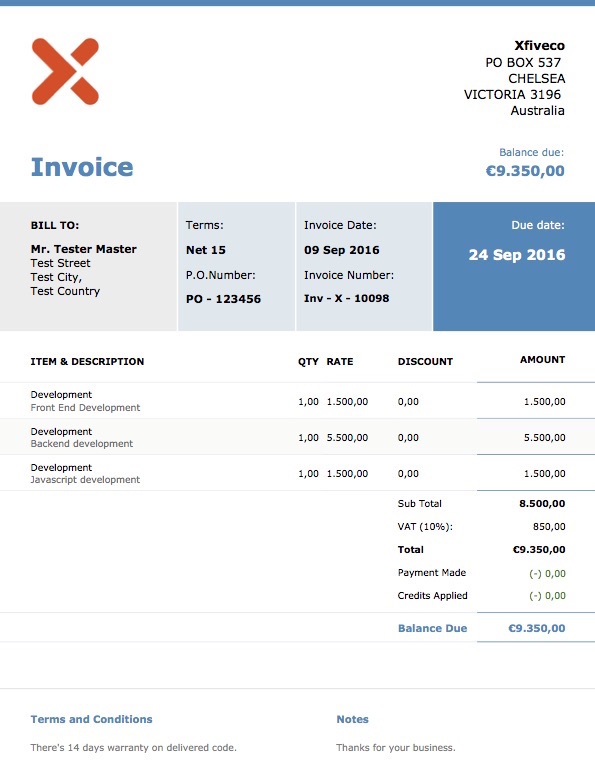 Click Invoice menu item to get a list of Invoice templates. There’s the Standard template. To create new custom template click blue “Customize Layout” button in that screen. You will see this new screen – New Custom Template as displayed in Figure 3. In the New Custom Template screen there’s a textfield area where you can paste custom template html. In WYSIWYG editor located on that text field area select the HTML button to activate the HTML code area where you will insert the HTML code from the custom template. Figure 4. After the HTML code is inserted into the text field and the HTML button is clicked again you can see preview of the template in that area. Figure 5. To Save the template just hit the “Save” button and your template will be saved for use. Template activation and preview. There are two options to choose from. 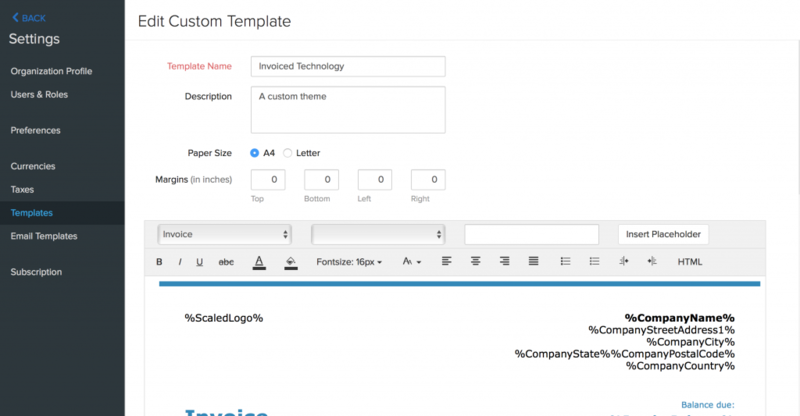 If you wish to use newly created template for all of your invoices hover over your custom template and click cogwheel, choose Set as default to make it your new default template for all your invoices. Figure 6. 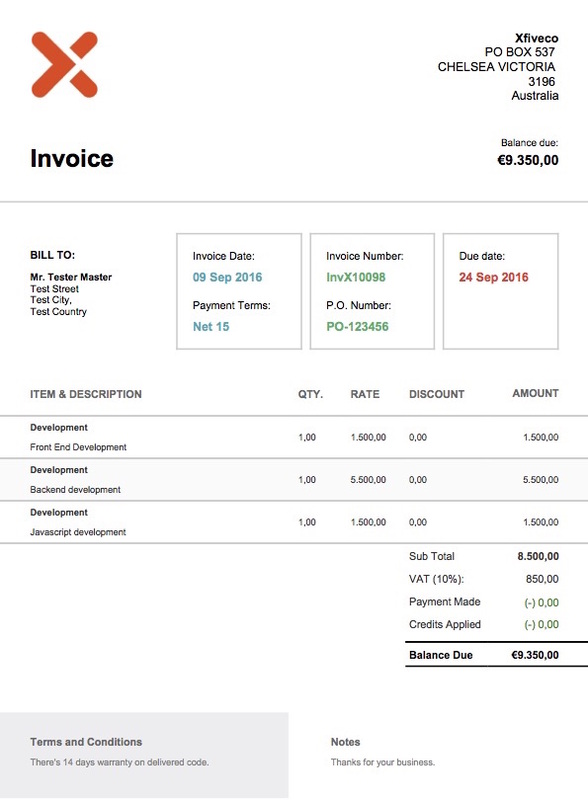 In case you would like to use new invoice template for specific invoices please navigate to your Invoices section, select Invoices menu item from left side slide-in menu. 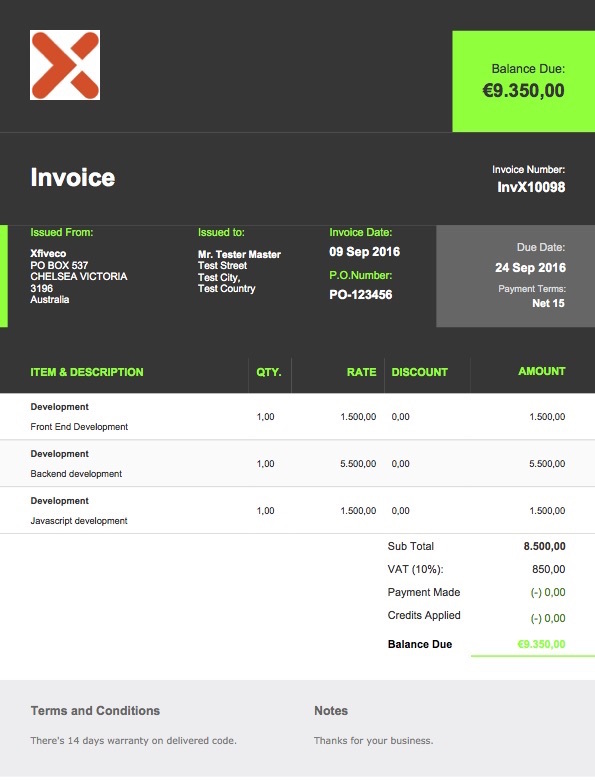 You will be directed to Invoice list section where all your invoices are listed. 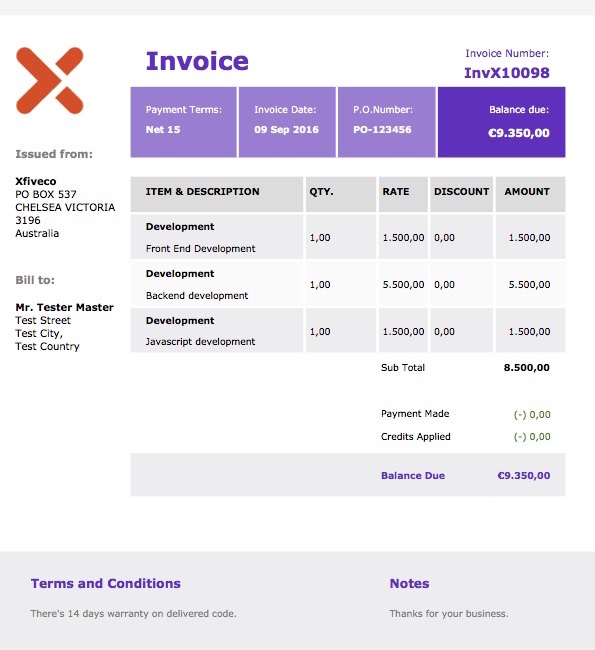 Click the invoice you would like to be applied to and then scroll down to the bottom of the screen. You will see the option Template with button Change, click it to apply new template for your invoice. See Figure 7. A true preview of the Inventory template document – Quote – is shown in the Gallery above. 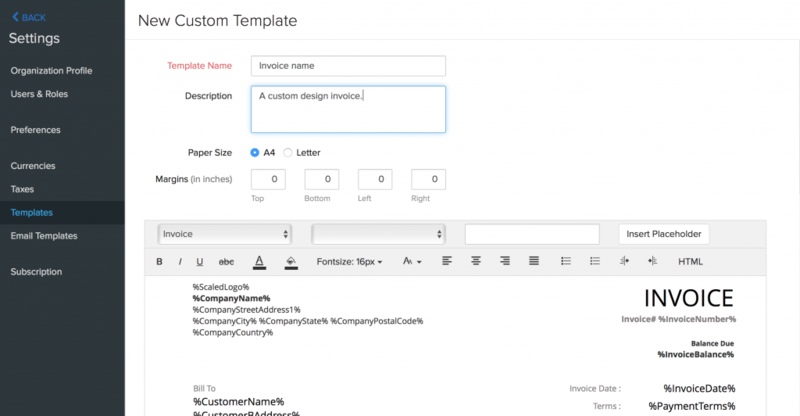 To preview template click either PDF button in your invoice screen, which will generate a PDF preview of your invoice and force it to download, or use the Print button to initiate print dialog. In some browsers (Safari/Chrome – mac os x) supporting PDF preview, print dialog can be cancelled and you can preview your invoice in your web browser. Figure 8. To add and activate the Purchase Order, Sales Order and Payment Receipts templates follow the same procedure. Please make sure you are located in their respective sections in order to create and activate correct templates. 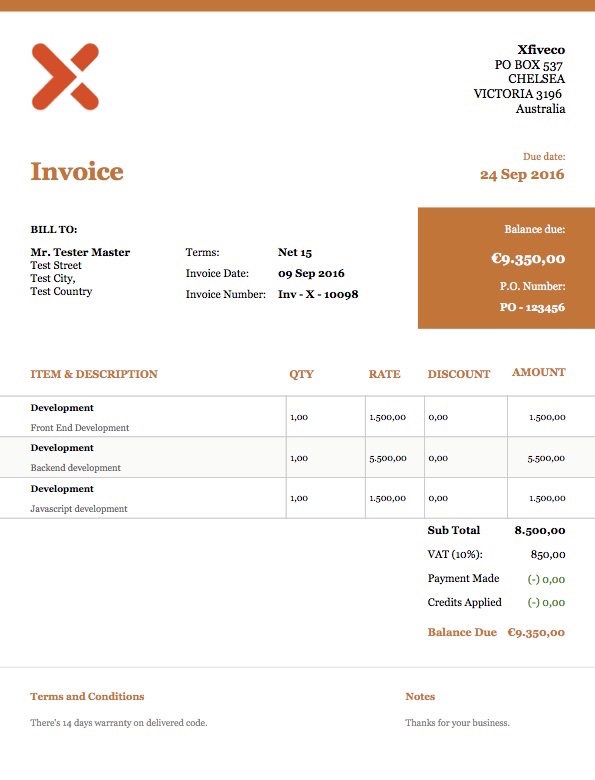 In case you have custom design of your Invoice and you would like to use them with ZOHO Inventory, don’t hesitate to get in touch with me at [email protected] I’ll be happy to assist you with the template development (@ Xfive’s company development rates) and installation (if needed) of these templates on your ZOHO Inventory account. As a bonus you’ll get free email templates visually matching ZOHO Inventory templates. P.S. What’s so great about those templates? You can use them in ZOHO’s hassle-free invoicing software which you can find among all other great ZOHO products.